For those who are looking for references, need books for school or work, or just love to read, there are several extensions for Firefox that can guide you in the right direction. These extensions can help you find book rankings, and get bargains on eBooks and papers. Book Discovery is a really cool extension that finds books based on the information on the page you are visiting. A small bar will automatically appear across the top of your page, but you also have the option to click the button in your toolbar. 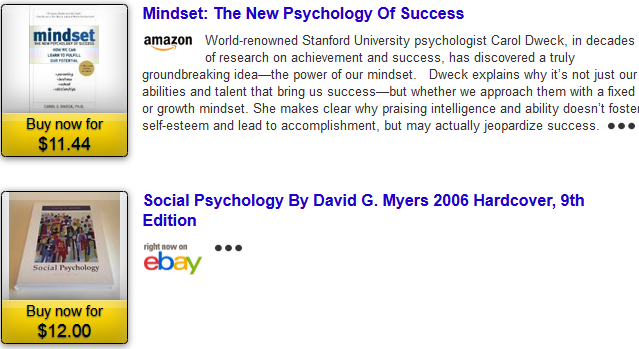 When the small bar displays you can choose to View Books which will open a pop-up with the results. The details provided for the books are extensive including the cover, title, author, stars, price, and social media sharing buttons. You can also select All Books Discovered which will take you to the Book Discovery website with a longer list of results. The results provided are pretty impressive. For example, when visiting Entrepreneur.com, Book Discovery listed books for small businesses, marketing professionals, learning about startups, starting a successful blog, and many more. This is a clever and handy extension. This extension will show you different locations with various pricing for a book you are currently viewing. It is really helpful for finding the best price for the book you want to buy. You do not have to click anything with this extension. The Bargain Book Mole icon will simply appear in the upper left corner of the book product page you are visiting. Once you select it, you will receive a pop-up with details. Bargain Book Mole shows both used and new selections of the book you are viewing, if both are available. You can also see the shipping price for the book at its location and the total purchase price. There is a useful Buy button next to each option and when selected it takes you directly to the book page on that website page. This is a good extension for saving some money on your books. The 1Cheaper extension is another that helps you find books at decent prices. However, it works as a search engine, instead of a button or pop-up. When you install it, it will be added to your Firefox search engine group. So, when you want to use it just type your keyword or phrase into the Firefox search box and select the magnifying glass to choose this search engine. The results of your search will open the 1Cheaper website where you can see titles, covers, prices, and in some cases, book descriptions. Links to the locations, such as Ebay or Amazon, will take you directly to the book page on the site. This extension is just handy to have in your group of search engines. The NovelRank extension is an interesting one. Its purpose is to show you the sales rank tracking details for the book you are viewing on Amazon. When you are on the book detail page, a NovelRank button will appear right near the title. When you click it, you are taken to the NovelRank website where you will see international details for Amazon sites selling that book. You can view the last sale, those for the current and past month, and the book’s ranking for each location. You can select Reviews to be taken back to the Amazon book page, but directly to the review section for the book. 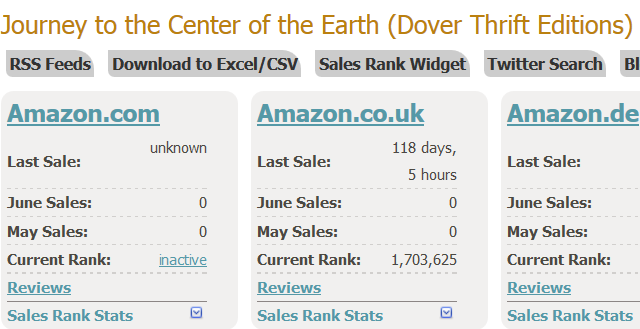 You can also see the best, worst, and average ranking of the book by selecting Sales Rank Stats. At the very bottom of the NovelRank page you can view a chart with the details. This extension may not be of interest to the everyday book reader; however, it could be handy for authors and publishing companies. The eBook extension is a search engine for eBooks and documents in the formats of PDF, DJVU, and DOC. This search extension works pretty well and provides relevant results on a Google-like page. 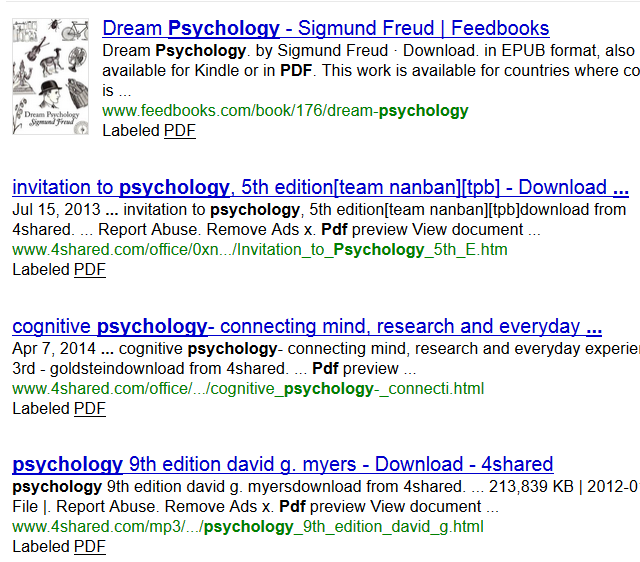 As you can see in the image below, the search was for “psychology” and produced some good results in PDF format. Within the results you can easily see dates and brief descriptions. Then just select the links to go download the documents. For searching online books in the given formats or even documents and papers written, eBook is a good option. 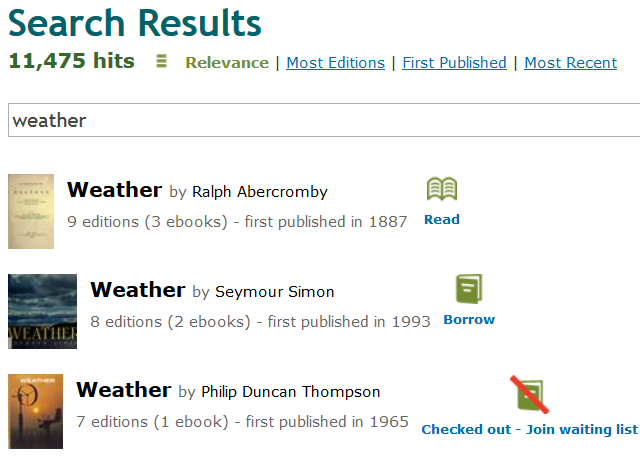 Open Library Search is another book search engine; however, this looks for eBooks within their own website. 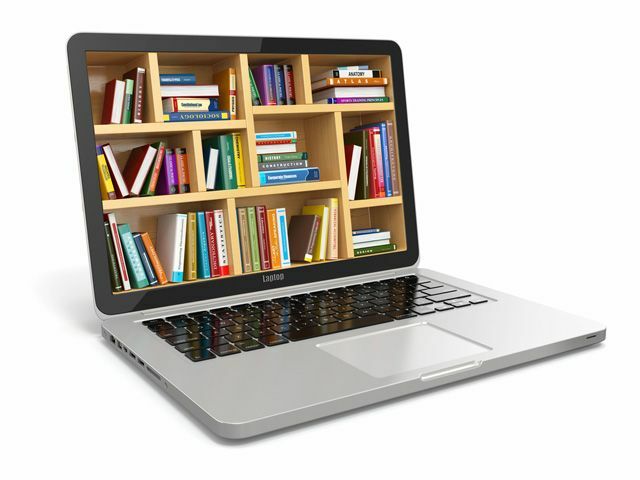 Open Library is an open, editable library that also allows you to borrow eBooks as well as physical books. It also lists out locations where you can buy the books you are viewing, if you like. The extension provides pretty solid results and the site claims to have over 1 million free eBook titles available, so it may be worth checking out. Time to Close the Book! Whether it is for buying, borrowing, or browsing, book extensions are just useful to have installed. For avid book readers they provide bargains and when finding the book you want is a struggle, the search engines can help. Do you know of any other book extensions for Firefox? Feel free to share your suggestions with us below!